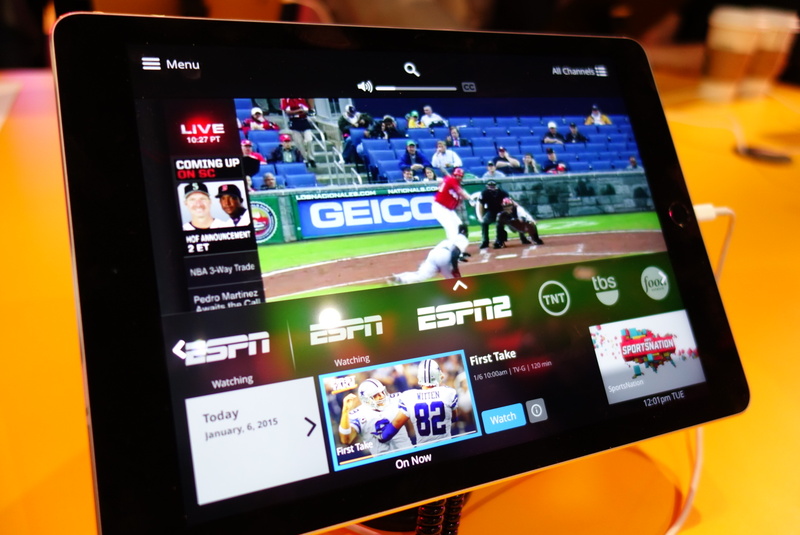 ESPN and ESPN2, along with Disney, are going to be the main draws for most users looking to try Sling TV. A few years back, Dish’s Hopper DVR with Sling technology was supposed to be take home the Best of CES award from CNET, but that site’s parent company (CBS) said the prize couldn’t be given to the DVR because CBS was involved in litigation with Dish over the Hopper. This led to CNET no longer being the ones behind the “Best Of” awards and to the CEA stepping in to award Dish with the title it had rightfully earned. Now Dish has won that top award again, but without the drama. This time, its Dish’s Sling TV standalone streaming TV service that has been named “Best of the Best” by current CES media sponsor Engadget. Sling, which will allow users to stream at least a dozen live cable TV channels over the Internet fro $20/month, also won in the Best Home Theater Product and Best Software/App categories. Earlier this week, we got our hands on with Sling during our visit to CES, and while we’re certainly intrigued by the service and plan to try it to see how it performs in the real world, we hesitate to call it the holy grail of cord-cutting, as its channel slate is wanting and it doesn’t include DVR functionality or streaming of any broadcast networks. Regardless of our current reservations, we agree that Sling TV is an important first step in the evolution of live TV, and we hope that others follow in Dish’s lead in offering this sort of service to consumers.